Reggie has been working on behalf of farmers and sustainable agriculture for 30 years and joined California FarmLink in 2004 to help beginning and low-resource farmers access land and capital. He became executive director in 2011, and facilitated the growth of FarmLink’s loan fund, and the organization’s emergence in 2013 as a Community Development Financial Institution (CDFI) focused on sustainable agriculture development. FarmLink uses its CDFI status and US Department of Agriculture programs to leverage funds from banks under the Community Reinvestment Act and direct capital into low-income farming communities. FarmLink trains and finances beginning and immigrant farmers including a growing demographic of Latino entrepreneurs who are former field and food processing workers. These farmers are central to the future of diverse, regional food systems in California. FarmLink helps farmers find land, develop sound lease agreements, transition farms to the next generation, build equity and identify pathways to farm ownership. In 2015, the organization launched a collaborative farm mortgage program to supplement its farm operating and infrastructure loans. During his career Reggie developed expertise in organic production and certification, agricultural development and policy, non-profit management, farmland lease and succession strategies. As Program Director at the Community Alliance with Family Farmers, he ran the Lighthouse Farm Network, organizing farmer networks in 14 regions to address resource conservation and economic options for small farmers. Earlier, he worked on the development and implementation of national organic standards; on sustainable agricultural development projects in Sri Lanka, India and Africa; and co-managing an eleven-acre organic farm. 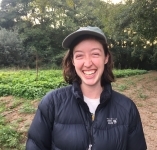 Emily joined the FarmLink team in July 2018. She graduated from UC Santa Cruz with a degree in Economics. Previously she worked as the Operations Director at the UCSC Student Volunteer Center. There she worked on various projects aligned with environmental and social justice. Most notably leading a student group to New Orleans, Louisiana where they learned about creating sustainable food systems within an urban environment. Emily is very excited to be apart of the FarmLink team. Ellen joined our team in December of 2013 and brings a wealth of knowledge with the experience that 20+ years as an Accounting Manager and Controller has to offer. In her capacity as our Finance and Operations Manager she is responsible for a wide range of accounting functions coupled with human resources. Prior to joining California FarmLink, Ellen was instrumental in helping her previous company successfully complete due diligence for the acquisition of the company. Retirement was not on the agenda, and Ellen ended up at California FarmLink. When outside of California FarmLink, Ellen is passionate about the CASA organization, and is currently an active advocate. She loves to travel, spend time with family and friends, and loves to hike. Mario grew up in Watsonville, California, where his father has taken great pride in working as a strawberry picker for over 30 years. 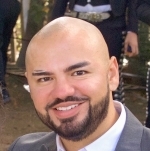 For nearly eight years, Mario worked with Bank of America, where he swiftly earned promotions from teller to service specialist to financial adviser. He also worked as a math tutor at Hartnell College in Salinas, where he received an Associate in Science in Business Administration for Transfer degree along with an Associate’s degree in psychology. He is now attending CSU Monterey Bay, where he is earning a Bachelor’s degree in Accounting with an emphasis on Financial Analysis. He is fluent in Spanish. He works closely with prospective borrowers, helps clients to assemble loan-related documents, and conducts farm site visits. Mario is inspired to work at California FarmLink where the mission aligns with his personal values and desire to contribute to the community. In his personal time, Mario enjoys volunteering – most recently at Dorothy’s Place in Salinas. Jonathan Harrison joined the FarmLink team as the Chief Financial Officer in 2014, and continues to build on his extensive expertise in community development finance and economic development. His work capitalizes on his specialization in CFO-level portfolio management and growth strategies for small to mid-size Community Development Financial Institutions. 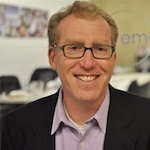 Amongst activities prior to joining California FarmLink, Jonathan founded Emerge Financial Wellness in 2010, a wellness technology firm providing financial education and access to credit building. 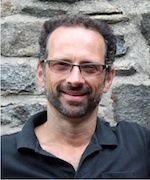 In addition to starting and operating entrepreneurial ventures including two food coops and a non-profit bakery and apprenticeship program, Jonathan has years of hands-on experience in strategic planning, marketing strategy, and raising startup capital. Jonathan’s professional and personal endeavors are supported by his MBA from the Yale School of Management. In his five years in management at Carnegie Hall in New York, he ran in-house advertising programs and served as promotions and subscription-membership manager, doubling subscription rates over the period. From 1993-95, he was an adjunct professor and business trainer at the Xi’an Institute of Finance and Economics in China and has traveled extensively throughout Asia. Tamela has worked in the community development industry since 1995, and brings extensive experience in the field of loan operations within the economic development sector. Prior to relocating to the west coast, Tamela began her career working for Coastal Enterprises, Inc., a Community Development Corporation (CDC) and Community Development Financial Institution (CDFI) based in Wiscasset, Maine, where she held the position of Loan Servicing Supervisor. In 2014, Tamela joined California FarmLink in the newly created position of Loan Operations Manager. In this capacity, she oversees the day-to-day activities of loan operations with a focus on portfolio compliance and impact reporting to ensure alignment with FarmLink’s mission of supporting sustainable agriculture. For the last five years Kerry McGrath has been working on behalf of the farmers, ranchers and wider community of Marin Organic, a non-profit organization that supported local, organic agriculture. She was the liaison to more than 40 farmers and ranchers and primary interface with communities across Marin County. Originally from St. Paul, Minnesota, Kerry has experience with both conventional and organic farming. Kerry relocated to California in 2000 to combine two of her passions: the outdoors and working with children. Kerry interned and worked as a Naturalist with Marin County Outdoor School before graduating from University of California, Santa Cruz with a degree emphasizing Agroecology and Ethnobotany. She has interned at various livestock and vegetable family farms throughout the state. Kerry also designed and implemented a two-acre food garden for restauranteur Pat Kuleto at Nick’s Cove, a resort on Tomales Bay. With California FarmLink, Kerry offers assistance with land acquisition, business planning, financing strategies, agricultural loans, securing conservation easements, and mentorship with experienced farmers. She looks forward to working with the FarmLink community. In her spare time, you can find Kerry in her garden or hiking, paddling, biking, attempting to surf, shucking oysters and eating her way across west Marin. 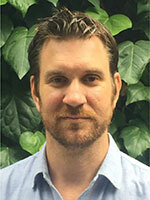 Brett Melone has served as Director of Lending at California FarmLink since July of 2014. Brett had previously served as Loan Officer since July of 2013, after serving as a member of the California FarmLink Board of Directors and Loan Committee. Brett has more than 15 years of experience supporting the business success of farmers and leading non profit organizations that serve farmers. 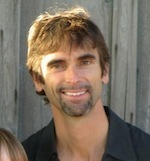 He is an adjunct instructor of sustainable agriculture at the Monterey Institute of International Studies. Brett has extensive non-profit management experience and served as Executive Director of Friends of MarViva Foundation and as the Executive Director of ALBA, Agriculture & Land-Based Training Association in Salinas, California. 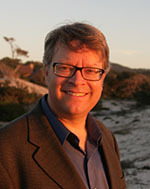 Brett has a BA in International Relations, Business and Spanish from the University of San Diego, and an MA in International Environmental Policy from the Monterey Institute of International Studies. Blanca started her work at California FarmLink in March 2019 following more than 20 years in the financial services and housing sectors in Santa Cruz County. Born in Mexico and raised in Watsonville, both of her parents worked in local agriculture, primarily harvesting celery and strawberries. Blanca also occasionally worked in the fields in her youth. She earned an Associate’s degree in Computer Applications at Heald College and started her career working with real estate lending at Community Bank of Central California (now Rabobank, N.A. ), and continued working in the field of real estate at other financial institutions as well as title companies. In 2009 she started working at the Housing Authority of the County of Santa Cruz, where she assisted tenants and landlords with the Housing Choice Voucher program (Section 8), including education, technical assistance, and site inspections. Blanca remained interested in the financial services industry, and when she saw a career opportunity with FarmLink, she was intrigued by its work with farmers. She’s very family oriented and values spending time with family members in the Watsonville area and southern California. Deborah joined the team at California Farmlink in 2014 as a Farm Water Advisor and has been expanding her support to beginning farmers in the areas of conservation and business management. Specializing in ushering resources in Spanish, she has 15-plus years of experience supporting farmers on the Central Coast through various roles at the Agriculture and Land-Based Training Association, the Resource Conservation Districts of Monterey and Santa Cruz Counties and currently as a Farm Business Advisor at Kitchen Table Advisors. 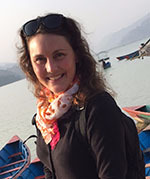 She has an M.A in International Environmental Policy from the Middlebury Institute of International Studies at Monterey and a B.S in International Agricultural Development from University of California, Davis. Deborah was born and raised in Oceanside, CA and currently lives in Salinas alongside her partner and two lovely daughters. Iris joined the FarmLink team in 2018, with five years in rural development, and over 15 years in the food and hospitality industry. She served as a Peace Corps Volunteer in Panama for two years where she focused on waste management, sustainable agriculture and conservation education. Previously, Iris was a Program Coordinator at The Volunteer Center of Grant County where she worked on eradicating hunger through the Lift Every Voice campaign in her home state of New Mexico. Iris is a recent graduate of the Middlebury Institute of International Studies at Monterey, where she obtained a Master’s degree in International Environmental Policy focusing in Business, Sustainability and Development. Iris is fluent in Spanish. Gary Peterson grew up in a farm community in western Minnesota, and brings nearly 25 years’ experience in sustainable agriculture, rural development, and land conservation to California FarmLink. His career has focused on fundraising, communications and program development advancing beginning farmers and sustainable agriculture. He has teamed up to raise more than $21 million for this work. Prior to joining California FarmLink in 2016, he worked at the Big Sur Land Trust for nearly four years, and at the Agriculture & Land-Based Training Association (ALBA) near Salinas for eight years. He was introduced to the diversity of California agriculture from 1999-2004 while serving as Development Director for the Community Alliance with Family Farmers. Previously Gary worked at the Center for Rural Affairs, where he helped raise a $6 million endowment fund and expanded its media impacts across the Great Plains region. Currently he serves as President of The Granary Foundation, which stewards the endowment assets of the Center for Rural Affairs. Gary earned a B.A. in Political Science from Minnesota State University Moorhead and a Master of Public Administration from the Middlebury Institute of International Studies at Monterey. He values time with family, hiking the Big Sur region, and exploring farmers’ markets. 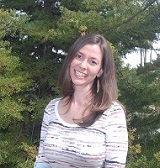 Liya Schwartzman has been working in partnership with farmers on behalf of California FarmLink since 2010. She has supported hundreds of farmers and ranchers in accessing land, securing strong tenure agreements, exploring financing, and facilitating farmland and business succession plans. Liya also directs farmers to a variety of resources from FarmLink, its partners, and service providers nationwide. She is a frequent speaker at workshops and conferences on topics of importance to beginning and retiring farmers and ranchers. Liya was born and raised in the suburbs of Los Angeles, and graduated from UC Davis with a B.A. in Nature and Culture. She now resides in America’s Farm-to-Fork Capital, Sacramento, and enjoys all the fruits and vegetables that California has to offer. Catherine has been a part of California FamLink’s loan team since 2016. In her current role she underwrites loans, assists in program development, and provides technical assistance for farmers related to business development, loan readiness, and financial literacy in both Spanish and English. Catherine graduated from UC Berkeley with a degree in Political Economy and a concentration on agriculture and food systems. Catherine is committed to supporting diversified farming systems and helping to build a more just food system through addressing structural barriers to success. Nathan comes to California FarmLink with nearly 15 years of experience in rural development and policy, both in the United States and abroad. Prior to joining FarmLink, Nathan served over 100 coastal farming and fishing communities in Central America by enabling rural development through fundraising, local capacity building, and assisting community leadership to engage public officials to improve rural programs and policies. Working as the Program and Policy Director at EcoViva, Nathan was instrumental in establishing national policies in El Salvador toward coastal restoration and fisheries management, and worked with local authorities to ensure inclusion of the local agriculture sector in bilateral and multilateral foreign aid programs. Nathan has also worked at the Agriculture and Land-Based Training Association (ALBA), the U.S. Forest Service, and recently completed a professional fellowship at Beneficial State Bank. He holds a Masters degree from the Middlebury Institute of International Studies, and a Bachelor’s degree from Grinnell College. Nathan will be assisting FarmLink with diversifying its institutional fundraising strategy, managing program delivery, and driving its public policy strategy.